Shown in Finsbury Oatmeal with Light Oak knuckles. 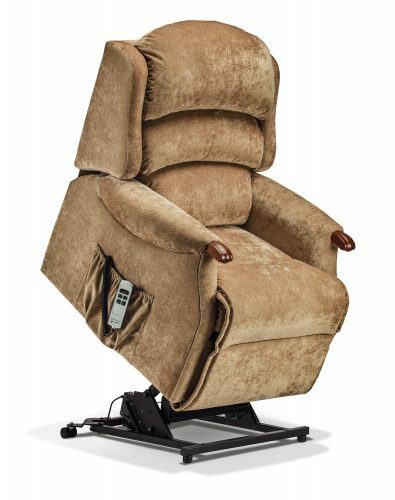 The popular Lynton Electric Riser Recliner is also available with the beautiful look and feel of Dark Beech or Light Oak knuckles. Exceptionally comfortable design with soft ‘chaise’ seating and a welcoming fibre-filled back cushion. Choose the new LUMBAR ADJUSTMENT option for individual comfort and support. Use this exciting new feature to visualise the Lynton Knuckle range in any of the covers in the extensive Sherborne collection. 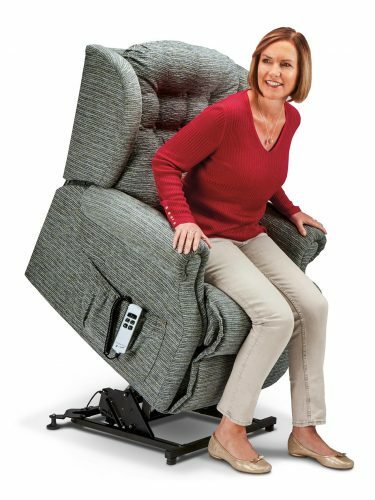 The Single Motor and Dual Motor actions both lift and tilt the Recliner forwards so that getting in and out is the easiest thing imaginable. This full powerlift facility is designed to assist sufferers of arthritis, rheumatism, MS, poor circulation and many other mobility restrictions. 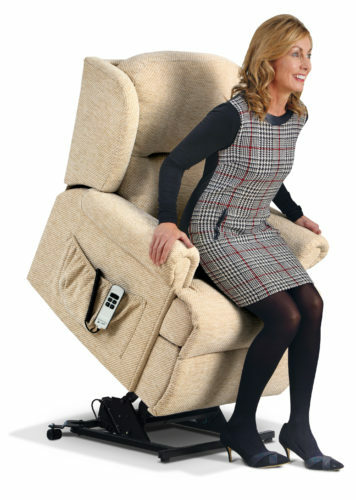 All new Riser Recliners are fitted with this special anti-entrapment system which will stop the Chair after any human contact on the metal action, to severely reduce the chances of entrapment. Nothing epitomises ‘The Home of Relaxation’ more than the superb range of Sherborne Electric Riser Recliners. Read more here.